Hard rock juggernaut Slipknot has announced details of a massive summer headline tour deemed the Summer’s Last Stand tour. The coast-to-coast trek will see the GRAMMY Award-winning group joined by a stellar line-up of special guests including Lamb Of God, Bullet For My Valentine and Motionless In White. The North American tour is set to kickoff July 24th at West Palm Beach, Florida’s Cruzan Amphitheater and continue through early September where it will eventually wrap-up at Dallas, Texas’ Gexa Energy Pavilion on September 5th (see attached itinerary). Pre-sales will be available Tuesday, January 27th via Slipknot’s website with general on-sales beginning Friday, January 30th. For full dates and ticket information go HERE. Furthermore, Slipknot recently announced the spring North American leg of their phenomenally successful Prepare For Hell world tour, which will get underway this April featuring special guests Hatebreed. Tickets for those dates are on sale now via their website. The spring run will also see Slipknot headlining an array of spring festivals, including such eagerly awaited events as Ft. Myers, Florida’s Monster Energy Fort Rock (slated for April 25th), Jacksonville, Florida’s Monster Energy Welcome To Rockville (April 26th), Concord, North Carolina’s Monster Energy Carolina Rebellion (May 2nd-3rd), Somerset, Wisconsin’s Northern Invasion (May 9th), and Columbus, Ohio’s Rock On The Range (May 15th-17th). Slipknot are currently on the European leg of the Prepare For Hell world tour, which saw them perform to a sold-out crowd at London’s historic Wembley Arena this past weekend. The European leg of the tour is set to continue through mid-February with dates scheduled in Ireland, the United Kingdom, France, the Netherlands, Luxembourg, Italy, Hungary, Germany, Norway, Sweden, Denmark, and Finland. From there, Slipknot will venture to Australia, where they will headline February’s annual Soundwave traveling festival, with stops in Adelaide, Melbourne, Sydney, and Brisbane. Finally, the band will return to Europe in June for a further series of festival appearances, with highlights including Germany’s Rock am Ring and Rock im Park, the United Kingdom’s Download Festival, France’s Hellfest, and many more. 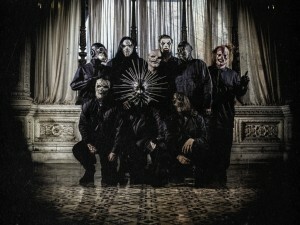 For complete details, please log on to www.slipknot1.com/events. Slipknot will be taking fan questions exclusively on their Facebook page, starting Monday, January 26 at 12pm Pacific and answering select questions by video on Thursday, January 29. 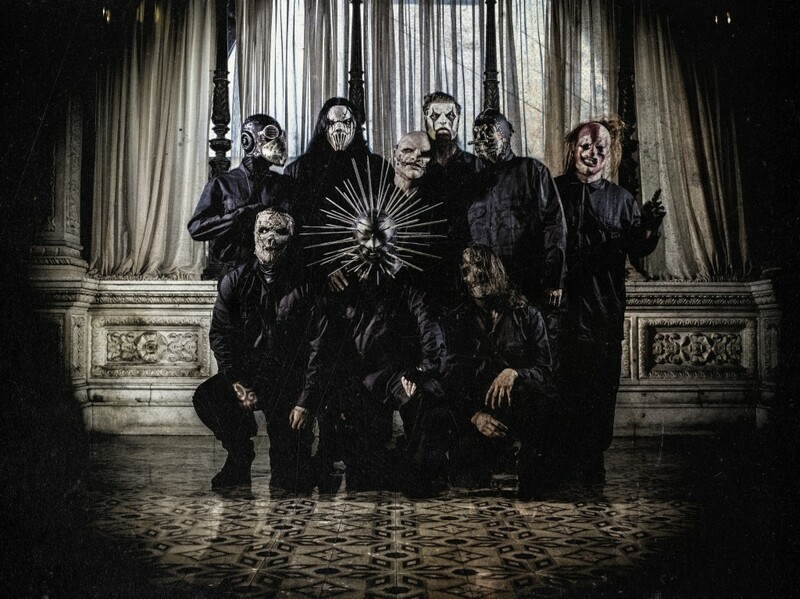 .5: The Gray Chapter, Slipknot’s fifth studio album for Roadrunner Records and first since 2008’s RIAA platinum certified chart-topper, All Hope Is Gone made a stunning chart debut upon its October arrival last year, entering the SoundScan/Billboard 200 chart at #1 with sales in excess of 131,000 albums – the highest debut for a hard rock record in 2014. Furthermore, the album made an explosive chart impact around the globe, with #1 debuts in Japan, Australia, Canada, Russia, and Switzerland, alongside top 5 debuts in the United Kingdom, Germany, Ireland, Austria, New Zealand, Mexico, Denmark, and Finland. Furthermore, “Custer,” the group’s latest single from .5: The Gray Chapter is impacting now at rock radio outlets nationwide.